Home > Special Offers > Sales > S60 258$/biweekly! 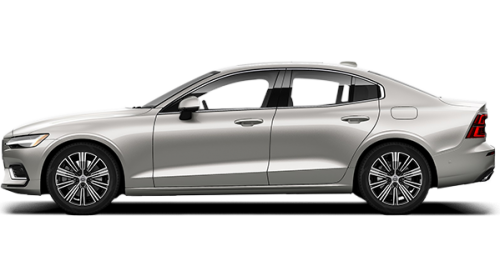 Lease a 2019 Volvo S60 T5 Momentum FWD from as low as 258$/biweekly + taxes. 0$ Cash Down, 16 000KM/Year, 48 Months. Retail value of the vehicle is of 46 270$. The BRAND NEW 2019 Volvo S60! Refinedment, Luxury and Technology, the Scandinavian way! Limited time lease offer provided through Uptown Volvo Cars West Island on approved credit. Representative lease offer based on a new and previously unregistered 2019 Volvo S60 T5 FWD Momentum. Lease at 1.9% for 48 months. Down payment of $0 (or equivalent trade-in). 104 bi-weekly payments of $258, which include $2,195 freight and PDI; $100 A/C charge (where applicable); as well as other applicable fees, levies and duties (all of which may vary by retailer). Includes 1% reduction for loyalty or conquest. Retail value of vehicle is $46,270. License; insurance; registration [including RDPRM lien registration fee (up to $75) and lien registering agent fee (up to $75)], $15 specific duty on new tires and applicable taxes are extra and are due at lease inception. Down payment (or equivalent trade-in), $0 security deposit and first monthly payment also due at lease inception. 16,000-kilometer allowance per year; charge of $0.16/km for excess kilometers.